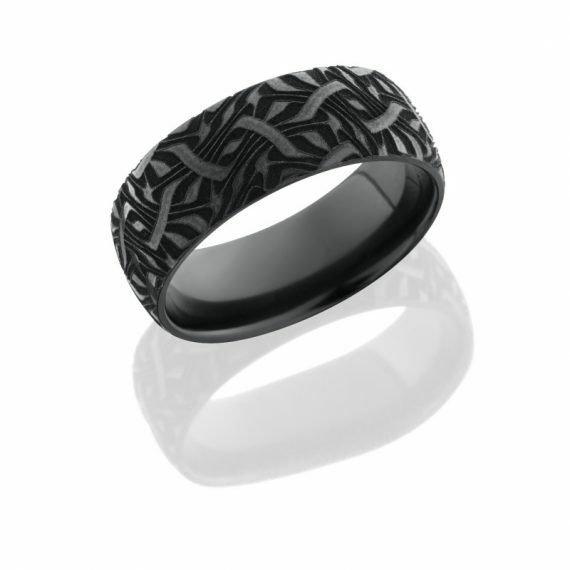 This sleek yet truly uniquely designed Lashbrook Zirconium Men’s Wedding Band was carved into a Escher pattern using a laser. 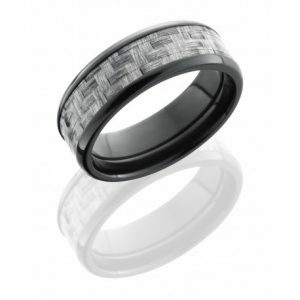 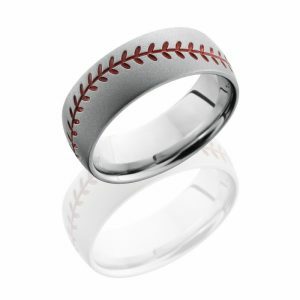 This 8mm Domed shaped wedding band was crated with durability and comfort in mind. 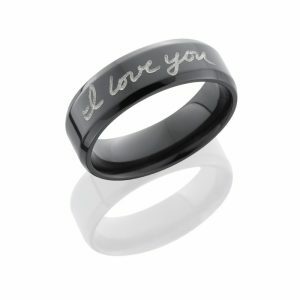 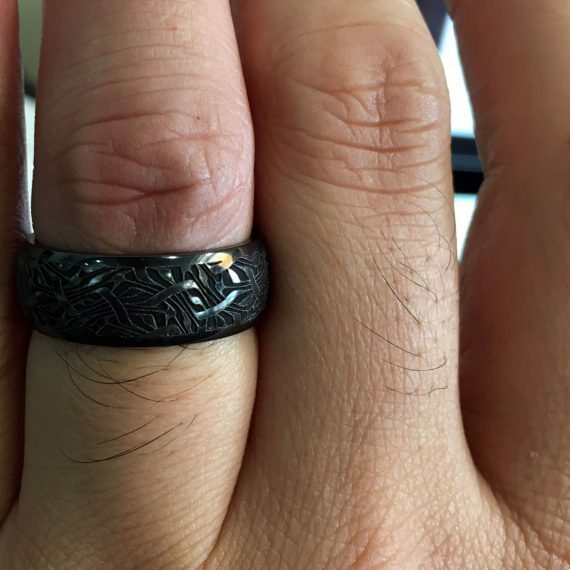 This wedding band is perfect or any man who values detailed styles with pure talent and technique carved into each ring.